BRK partnership believes in the power of the individual. Our coaching is designed so that each of our clients can utilise his or her insightful and creative sides to find ways forward. We’ll use a series of facilitation and focusing approaches to help harness your own insight and creativity to find the right way forward. As an executive coaching, client, BRK will help facilitate your professional and personal development towards growth and improved performance. As a career coaching client, we will work with you to design an approach tailored specifically to any or all of your needs. 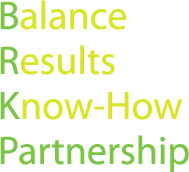 BRK will partner with you to help guide you in the process of making sure your core values do not get lost in the shuffle. People re-entering the workplace after some time off. The key to our success is that our clients build their own path forward, so it is perfectly tailored to how YOU work best.